En español | Older Americans are becoming a larger share of the pool of people employers turn to when it comes to finding on-call help for positions from management consulting to substitute teaching, according to a new report. 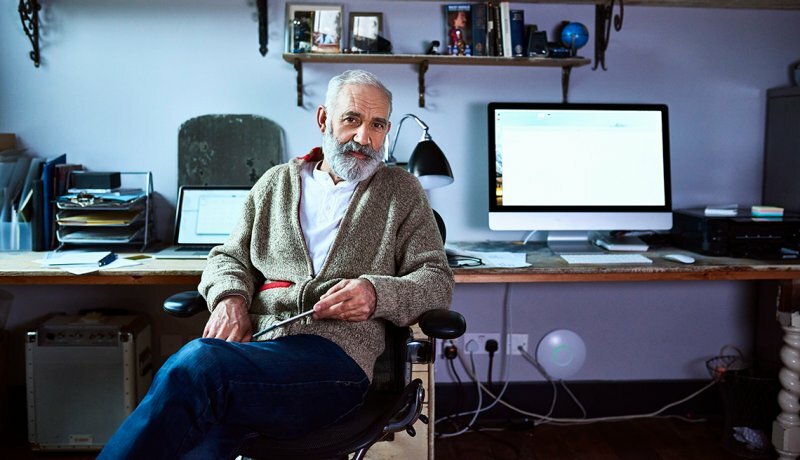 Between 2005 and 2017, the percentage of people age 55 and older working as independent contractors, freelancers and other types of on-call workers grew significantly, according to a report from the Economic Policy Institute (EPI), a nonpartisan labor-related think tank that examined data from the Bureau of Labor Statistics (BLS). The share of these workers who were ages 55 to 64 rose from 18.8 percent in 2005 to 22.9 percent in 2017. For those ages 65 and older, the share climbed from 8.5 percent to 14.1 percent. In total, the share of 55-and-older workers accounted for 37 percent of all independent contractors in 2017, up nearly 10 percentage points since 2005. For some older people, independent contracting and on-call positions are attractive ways to ease into retirement or earn income after they have left the full-time workforce. The contracting option can offer an appealing combination of flexibility and extra money, as long as the worker can get health care coverage or save for retirement in other ways. Strang, who lives in Avon, Ohio, near Cleveland, started substitute teaching after he retired early from his career as a newspaper journalist. Teaching was new to him, but he was armed with his enthusiasm, his imposing build (6 feet 3 inches, 280 pounds) and “a beard to rival that of Dumbledore,” he says, referring to the wizard from the Harry Potter books. “Many weeks I’ll work all five days, but if I don’t want to work, I don’t have to,” Strang says. He usually takes off at least one day a week to spend time with his wife, Peggy (they’ve been married for 45 years), and to run errands to the pharmacy and other places. The overall pool of those doing on-call work (independent contractors, day laborers, people who work for temporary-help agencies, and other similar situations) accounted for 10.1 percent of the nation’s workforce in 2017, the EPI report reveals. That’s a small drop from 10.9 percent in 2005, which makes the growth of this kind of work among older Americans all the more remarkable. Older workers were already more likely than those in any other age group to do these types of jobs in 2005, and now they are even more likely to, according to the BLS data analyzed by the think tank. The EPI report concludes by noting the importance of access to health care coverage for these older workers, whether it’s through Medicare, Medicaid or the Affordable Care Act. Staying healthy might be the key to enabling these workers to stay on the job.